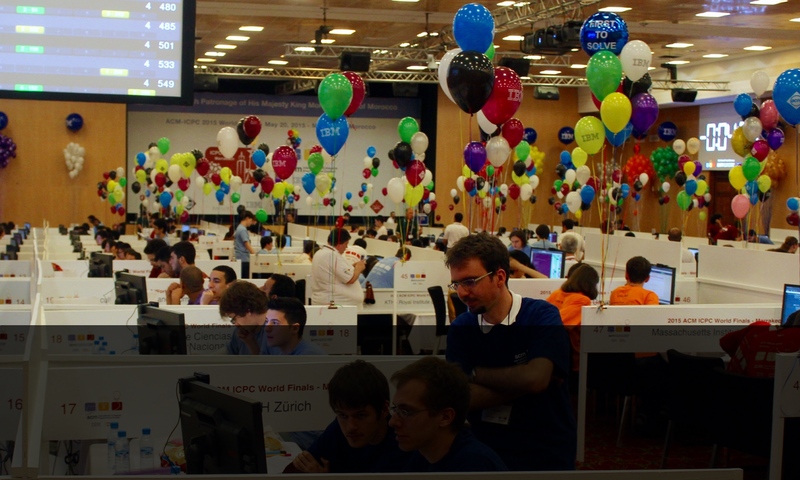 There were more than 120 teams participating and 12 problems, which turned out quite difficult: four problems were not solved by anyone and only 13 teams managed to solve more than three problems. ETH Zurich team managed to score two problems, ending in a large group of teams on places ~45-80 (counting time penalties it was 65th place). The winners turned out to be St. Petersburg State University with seven problems solved. Congratulations to all participants and ETH team! Now it’s time to start thinking about the 2015 Finals due to be held in Morocco. The first step is, as usual, the Local Contest, which will most probably take place in the first half of October 2014.